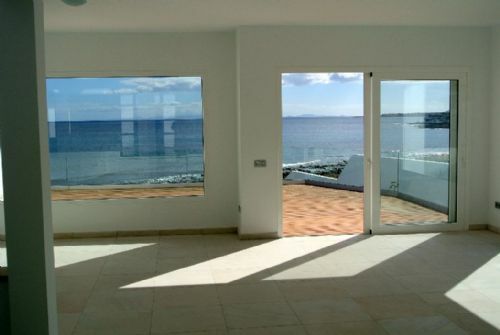 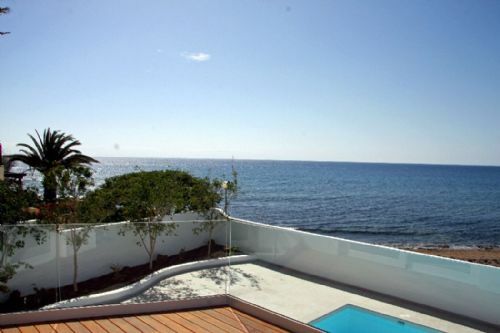 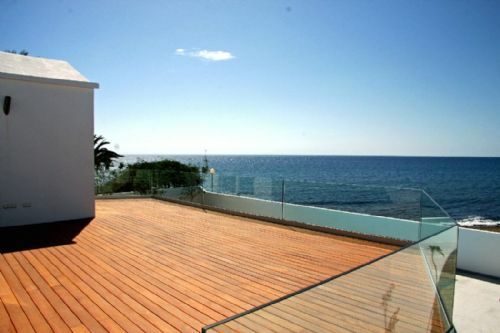 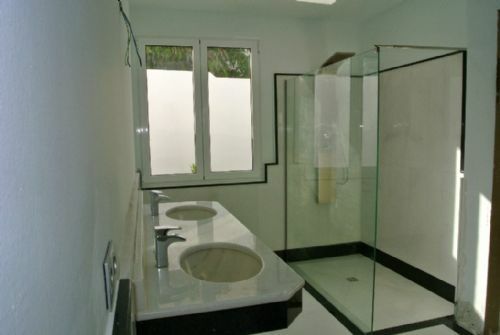 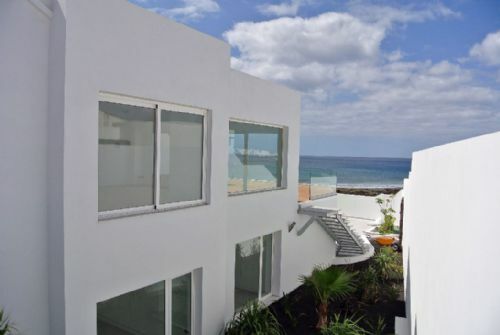 Luxury seafront villa with 5 bedrooms, private, heated pool in La Concha for sale. 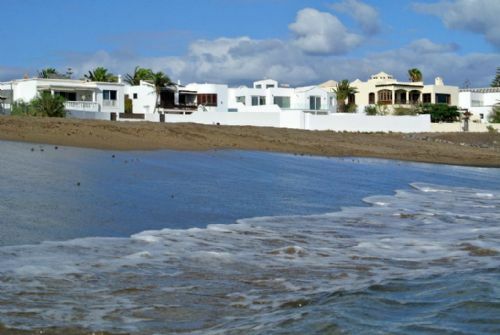 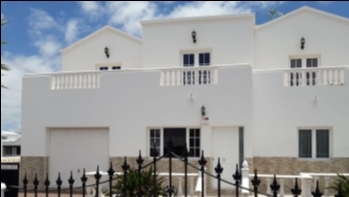 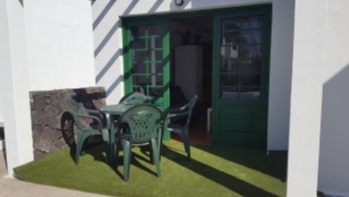 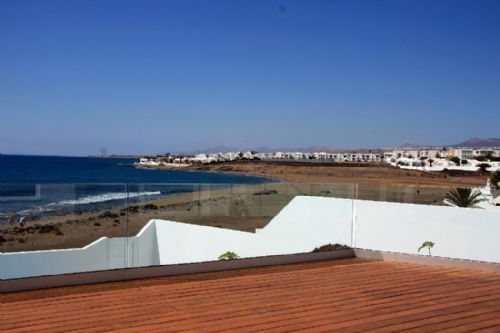 This villa is a great opportunity if you are looking for a luxury villa with uninterrupted sea views in first line in a great residential area on Lanzarote. 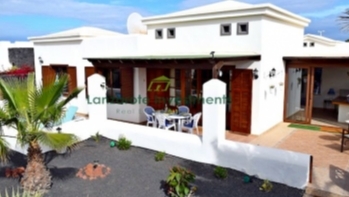 The villa consists of a master bedroom with en suite bathroom and walk in wardrobe as well as magnificent sea views, 4 more bedrooms, another 2 ensuite bathrooms, a separate family bathroom and 2 toilets, a entrance hall and a large open plan living area with patio doors onto a hard wood decked terrace with amazing views across the Atlantic ocean. 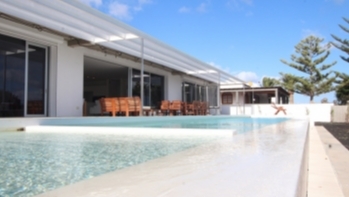 The lower part of the terrace is sheltered and contains the beautiful swimming pool, well arranged gardens and a large sun terrace.